Shapely, sophisticated and ultimately chic, Premier Duleek is pictured with High Gloss Tiepolo floor cabinets. 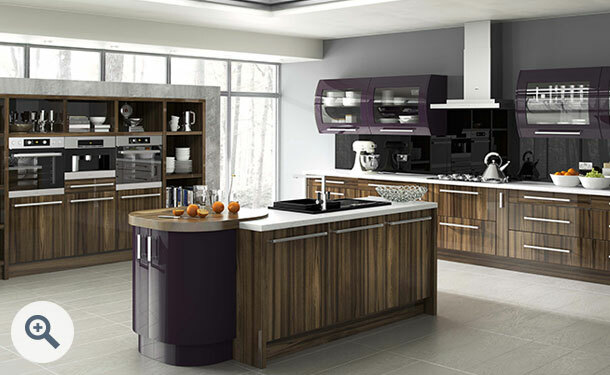 Making a smart contrast to the wood tones, the High Gloss Aubergine cabinets are the choice of colour for the curved lift-up cabinets. Variety provides the spice for this kitchen with glass fronted and open shelved storage, plus an inventive island unit. 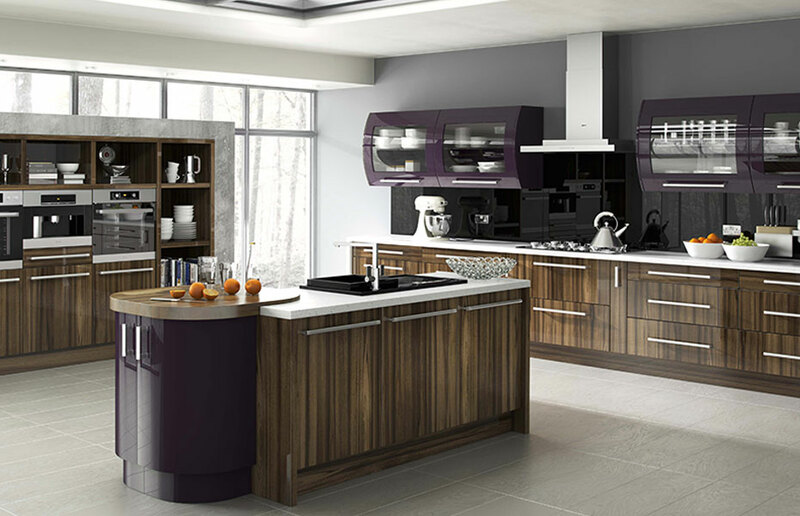 Click the button to request a free large sample swatch of High Gloss Tiepolo and High Gloss Aubergine. Click the button to purchase a Sample Premier Duleek design door in the High Gloss Tiepolo and High Gloss Aubergine finish.